This certified product-version requires costs associated with implementing and include a one-time cost associated with training and yearly maintenance charges associated with the Henry Schein Secure Chart patient portal and Direct transmissions using Surescripts CIN. For detailed explanation of costs and limitations, click here. 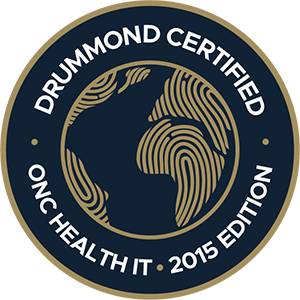 This Complete EHR is ONC 2014 Edition compliant and has been certified by� ICSA Labs, an ONC-ACB, in accordance with the applicable certification criteria adopted by the Secretary of Health and Human Services. This certification does not represent an endorsement by the U.S. Department of Health and Human Services. There are no known limitations that a user may encounter in the course of implementing and using this Complete EHR or Health IT Module’s capabilities, whether to meet meaningful use objectives and measures or to achieve any other use within the scope of the health IT’s certification. Looking for an EMR system? MicroMD EMR/EHR is flexible and can fit almost any practice. Let us help you get back to the business of healing. Download this eBook to learn about MACRA so that your practice can earn as much as possible under the new regulations. Don’t miss out!